John Kleinheinz’s flagship fund, Global Undervalued Securities Fund, was down 4.69% in the fourth quarter but reports an enviable 22.3% CAGR since inception in 1996. Overall, Kleinheinz’s outlook is tepid. He writes, “While market sentiment has generally improved due to recent policy actions from the ECB and pockets of better than expected economic data in the US, the global economic issues that were present in 2011 remain largely unresolved…While we have modestly increased out net equity exposure, we continue to consolidate equity positions with a bias towards large-cap, defensive names with strong global franchises…” Kleinheinz continues to own “dominant platform companies” in the US Technology sector, to be bearish on the Japanese yen, and to short currency positions (mainly Euro, Yen, and select emerging markets). Hedge fund favorite, Apple (AAPL), which has been up over 40% YTD and hit the $600 mark this week, is his fund’s largest holding at 7.7% of AUM. With over 200 hedge funds reporting AAPL as a holding at year end December 31, 2011, one may wonder if this is just a momentum play. After all, the stock touched $600 only 57 days after hitting $400. However, sell-side equity analysts remain bullish, a number of analysts increasing price targets. Morgan Stanley increased its price target to $720 driven by enterprise tablet adoption, iPhone upgrades later this year, emerging market growth from new carriers, and margin upside from lower ASP declines. 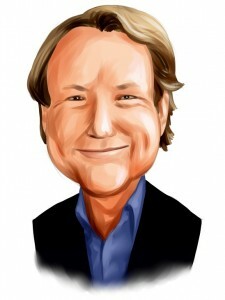 For FY 2011, AAPL generated $108 billion in revenue, $36 billion in EBITDA, and $27 of EPS. Consensus estimates are projecting $158 billion in revenue, $57 billion in EBITDA, and $43 of EPS for FY 2012. AAPL is a top holding for hedge fund managers Philippe Laffont, Steve Cohen, and David Einhorn. Google (GOOG), also held by George Soros, represents 7.5% of AUM. We believe the search engine giant’s fundamentals remain strong. There is some overhang surrounding the MMI closing, the timing of which is still unclear. Concerns over the value of the patent portfolio, limited visibility on the MMI’s NOLs and the eventual impact on GOOG’s tax rate are also unclear. However, deal aside, GOOG is still sporting strong revenue growth of 20% with forecasted revenues of $35.4 billion for FY 2012 and $42.4 billion for FY 2013. China Mobile Ltd (NYSE: CHL) clocks in at 5.9% of AUM. According to its website, CHL is the world’s largest mobile phone operator with about 655 million subscribers. In 2011 alone, CHL added 65.6 million net subscribers up from 61.7 million in 2010. Total subscribers finished at 649.6 million at year-end December 31, 2011. Notably, 3G subscriber growth is accelerating, reaching 51.2 million and is projected to more than double this year. The Company will increase capex to enhance network infrastructure and with RMB303 million in cash, has the capacity to expand and support a 43% dividend payout ratio. Monsanto (NYSE: MON), the international agribusiness giant, is 5.6% of AUM. MON is well-positioned to support double-digit earnings growth and a low twenties multiple given a backdrop of high agricultural commodity prices, an innovative pipeline, and increasing adoption of biotech traits in the Latin America region. We are particularly optimistic on prospects to gain market share in China. MON has assessed the current situation in China to be similar to “Brazil 7-8 years ago with genetics 20-30 years behind.” There are government initiatives in place that support consolidation of 8,000+ small scale seed players. The Company has a joint venture with China National Seed. Canada-based Major Drilling Group (TSE: MDI) rounds out the fund’s top 5 holdings. MDI provides drilling services (surface and underground coring, geotechnical, environmental, water-well, methane and shallow gas, amongst other types) and considers itself to be in the specialized drilling business. As mining companies deplete the more easily accessible mineral reserves around the world, so-called “low hanging fruit,” economic deposits will be in increasingly remote locations that are often on difficult topography. So, as more money is allocated to mining exploration, MDI will benefit. It has a market cap of $1.4 billion with expected top line growth of 27% over the next year. The Company acquired Bradley Group for $80 million last September.